Kick off is at 7am this Saturday. The Butcher & Bullock is closing for a short time for renovations. The Donnelly Group has done it’s best to schedule the renovations around Liverpool games but with the recent announcement of Champions League fixtures, there is a clash. For the PSG Game on 18th September – The Butcher & Bullock will be closed. 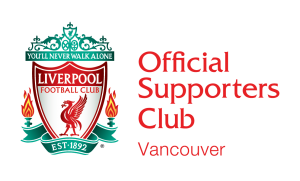 Regulars are invited to go to Blackbird to watch the game – LFC Vancouver will be hosted there. We’re a few days away from the start of the new season! Thanks to everyone who has bought memberships over the summer. We’ll have membership cards available for collection AFTER THE GAME for new members. Anyone who comes up and asks for cards during the game gets a $5 stupidity fine. Now onto serious stuff – The Donnelly Group has a new system for Wi-Fi users at their pubs. If you’ve logged on at the Butcher recently you’ve probably seen the Facebook sign in page? You’re all encouraged to log in to the Wi-Fi using facebook or email when you are at the pub. Why? Well, we can start to get an idea of who is going to each game (especially the early ones) if people all log on to the Wi-Fi when they are at the match. For example – it would be great for us to be able to reward those of you who show up to every game, regardless of how early it is. If you log on to the Wi-Fi, we will be able to see that you checked in as a member. We’re hoping to get some sponsorship for prizes throughout the season for highest attendance, and for the most early games missed… and maybe a wooden spoon for the fans who sleep in the most! There will of course be other perks for the most loyal members, as and when we think them up! Aside from this, the Donnelly Group themselves will send discount vouchers and rewards for people who regularly visit their venues, so it’s worth signing in on every visit! Hope to see as many people as possible at the pub for the season opener against West Ham, Come on Red Men!